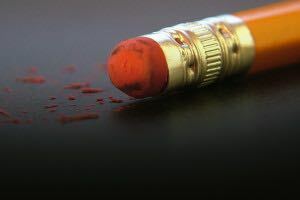 Does Design “Imperfection” Prove God Is Not the Designer of Life? Those who advocate for the existence and interaction of an external intelligent designer aren’t denying the impact of entropy or adaptation over time. Rather than an “either/or” explanation resulting from the creative interaction of an intelligent designer or unguided natural processes, the explanation for “imperfection” we observe in biological systems is most reasonably inferred as the result of intelligent design and processes of modification over time. One example of design “imperfection,” the sesamoid bone “thumb” observed on pandas, is typically offered as an example of poor or inadequate design. The panda’s “thumb” seems to be an imperfect appendage. Unlike the opposing thumbs of primates, the panda’s “thumb” is unable to grasp as efficiently as would be the case if it were shaped just slightly differently. 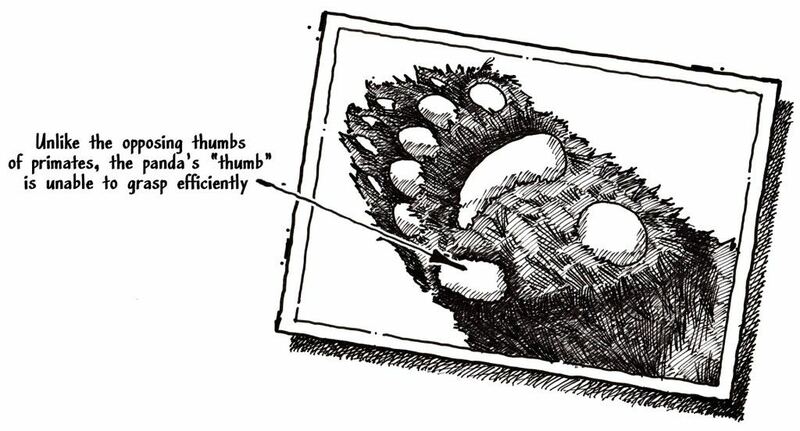 As a result, the panda’s thumb has been offered by many naturalists as an example of the kind of imperfect shape we might expect from the evolutionary process, and as an evidence against intelligent design. But this unusual protrusion found in pandas isn’t necessarily the product of an intentional, original design. Mutation and selection operate on all biological organisms, whether they are initially designed or not. The panda’s “thumb” may simply be an adaptation of an original design. Those advocating for an external designer recognize the real and pervasive power entropy has to pervert design in nature. The Second Law of Thermodynamics is an inescapable reality, resulting in degradation from order to disorder. When we see an apparent example of imperfection, entropy may be the better explanation. Evolutionary scientists recognize these genetics regions have been maintained in the genome for a very long time, even from an evolutionary perspective. The retention of these regions of the DNA molecule indicates their importance to the organism, even if scientists are presently unable to understand why they are important. Typically, those regions of the genome demonstrating ““selective constraint” are fundamental to an organism’s ability to survive. These previously under-valued regions of the genome apparently have an important, yet unrecognized, role to play. Scientists have now concluded these “junk sequences” are not junk at all, but “have been under purifying selection and have a significant function that contributes to host viability.” What might at first appear to be an unnecessary, imperfect, extraneous mutation, isn’t necessarily the case. It may simply be a matter of our limited understanding. Prior to serving as a detective, I was classically trained as a designer and architect. Working in an architectural firm in Santa Monica, California, I was typically assigned very limited responsibilities within much larger design projects. While the lead architect was responsible for the overall design of the building, I was sometimes given the limited responsibility of designing an entry portico or the arches in a large courtyard. I would design a prototype, only to have the firm’s principal modify the design later. I often found his modifications were necessary because I’d overlooked some important relationship between design elements. He understood the functional connectivity between these design elements better than I did, and I often had to compromise some aspect of my effort to achieve the larger goal. This is nearly always the case when engaged in the design process. Every design effort has an impact on some other feature of the overall project, and compromise is essential, even when trying to remove an annoying, apparently “imperfect” feature in the design. As engineer and historian Henry Petroski writes, “When a new design removes one of these annoyances, it more likely than not fails to address some others or adds a new one of its own. This is what makes engineering and inventing so challenging. All design involves conflicting objectives and hence compromise, and the best designs will always be those that come up with the best compromise.” For this reason, we simply cannot assume a design is somehow “imperfect” unless we know precisely the goals (or motives) of the designer and the challenges incumbent in the project. As detectives investigating the designs we observe in cellular systems, our limited perspective and understanding sometimes inhibits our ability to fairly judge the design features we observe. The appearance of design “imperfection” fails to disprove the existence of a designer, both in designed objects created by humans and in designed objects created by God. In fact, the cumulative evidence for a Creator and Intelligent Designer is overwhelming. I describe this evidence for design in my new book. I also offer a much more complete examination of the objection to design on the basis of “imperfection”, including footnoted resources. This blog post is an excerpt from God’s Crime Scene, Chapter Four – Signs of Design: Is There Evidence of An Artist?